Last week was Red Ribbon Week. It is an annual event that encourages today’s adolescents to stay drug-free. Red ribbons are worn throughout this period of time in honor of Enrique Camarena, a Drug Enforcement Administration agent who was murdered by members of a drug cartel. The red ribbons were worn by citizens of his hometown after the terrible news found its way to them and now are worn by us. If you support this cause, grab yourself a red ribbon during this time and wear it proudly. Starting on October 24, 2016 the students of Clever High School did just that: collecting a red ribbon as soon as they walked through the door, signing their names on it, and then pinning it to their shirts/belts/et cetera (as seen in the picture above). These ribbons were used as students’ tickets to small prizes each day they wore the ribbon. The prizes were courtesy of Student Council members who were waiting at the doors before school. 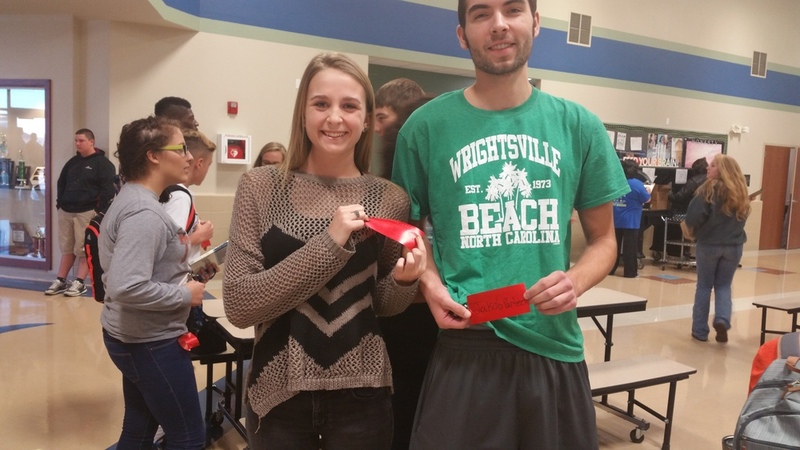 A free ice-cream sandwich was given out on Friday at lunch to students who brought their ribbon every day. Over at the elementary school, the students treated each day of Red Ribbon Week as theme-based, whether it was a Pajama Day or Crazy Hair Day for grades K-8. So, please join us as we show our support for a great cause and don’t forget to say “No” to drugs and alcohol.